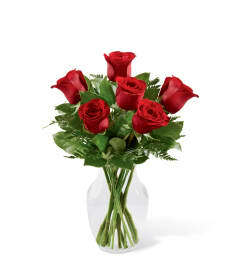 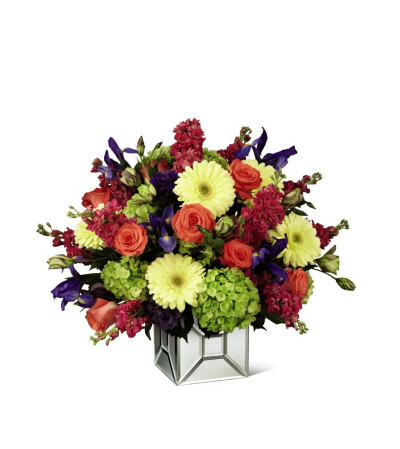 Grand and simply unforgettable this bouquet was intended to offer color, joy, and light to any space. 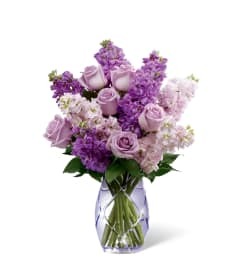 Bringing together the finest floral varieties, including coral roses, pale yellow gerbera daisies, green hydrangea, purple iris, hot pink gilly flower and purple lisianthus, this bouquet has the look of and flair of a modern garden. Each bloom is perfectly set to captivate your special recipient with the gorgeous colors of this floral arrangement reflected in the mirrored finish of the vase.